Pipobelleza.es - Tienda de Productos de Belleza Online. The fast lightweight and customizable checkout extension for your store. Fast checkout is the easiest way to increase your sales! Smart Catalog is the first responsive configurable catalog with a toolbar for Magento. This useful Magento extension displays stylish tabs instead of a select drop down. Page is scrolled to top of the page with animation when you push the button. LightShop Pink is a premium Magento template with a beautiful design interface for a variety of women’s stores. 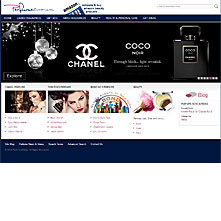 The LightShop Pink Magento Theme is perfect for showcasing perfume, makeup products, lingerie, jewelry, toys and any other visually appealing items. The new responsive Magento template meets users’ needs by providing an engaging, imaginative, and visually appealing store that is easy to navigate. We have applied unique style for several extensions. 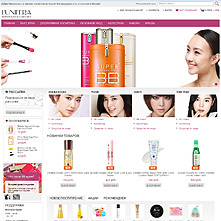 This replaces the standard Magento menu with a multi-column drop-down menu system. Menu goes to one columnd drop down when screen resolution goes below 800px. Switching between full mode and single columnt mode is based on js. For small screens a submenu area appears when you click a menu item. LightBox2 is a fully customizable and ready-to-use extension to take control of your products' images. This simple Magento extension allows you to add a tabbed interface to a product page. 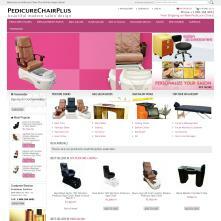 We have customized this extension with the Lightshop Pink Magento Template style. The Blog extension gives you a noteworthy opportunity to communicate with your regular customers and casual visitors. Offers the most innovative sharing platform for today's social audience. It is possible to create brands page, testimonials page, news page, and any text pages (2 columns left page, 2 columns right page, 3 columns page and full-width page) with this Magento template. It can be used for service information or any other application that you find useful. In addition,template has a fresh-looking section of highlighted categories. Additional modules/features: fully customizable catalog; most popular block, testimonial block, home page products, payments, company info footer block, social bookmarks block, and SEO text block. Since there are so many custom extensions, page templates, unique sidebars, and a custom menu, it can be molded into whatever kind of site the user wants. You can have the theme up and running in your store very quickly! The template offers a complete shopping experience with one-page checkout, shipping price calculator, custom menu and much more. Visitors can stay up to date through the banner sliders, news, and blog sections. The home page slider displays the latest promotions so the homepage is always updated with the latest information. Note 2. IE7 supports all template functionality but with some design omissions. Very pleased with the installation, ease-of-use, clear options. Since launch, this morning, I have already received 4 sales! Best regards and thank you so much for your help! Fantastic theme and top notch support. It's awesome, it allows me to easily do anything I want to do with my store. Thank you for your great work! 2013-08-02 -Version 3.1.2. "Respond.min.js" were added to the package. It is required for media-query support in IE8. 2013-07-06 - Version 3.1.1. Small css-fix. 2013-06-26 - Version 3.1.The home page has been completely redesigned. Added new features: responsive layout, responsive Magento catalog extension, responsive Custom Menu, free responsive slider, 'back to top' button, store switcher and some "must-have" free Magento extensions. With a clean design, the Lightshop Pink Magento template features different backgrounds for your store. 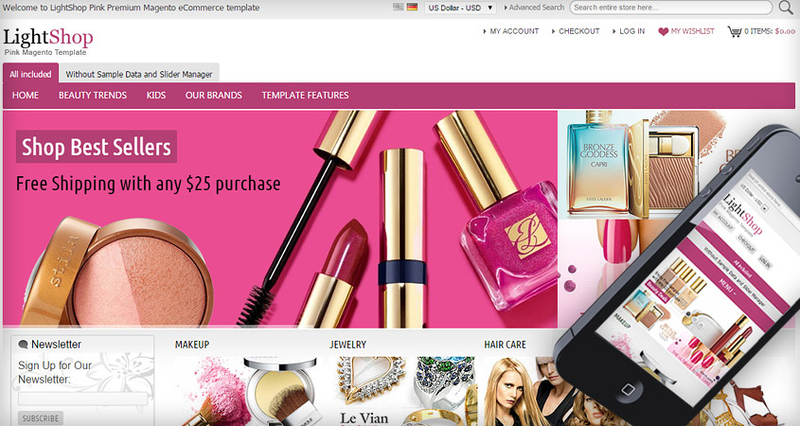 You’ll discover on your own as soon as you install LightShop Pink Magento Template. can I take a look backend? I recently purchased this theme for my online store. Everything look perfect when I'm browsing my site. Please keep up with great work with your template so this really helps! !